Head-to-head: Who has the edge in the Western Final? Head-to-head: Who has the edge in the Western Final? Home / American Football / Head-to-head: Who has the edge in the Western Final? Head-to-head: Who has the edge in the Western Final? TORONTO — The 2018 season was a tale of two halves for the Calgary Stampeders and Winnipeg Blue Bombers, with two rivals apparently headed in opposite directions based off their late-season results. 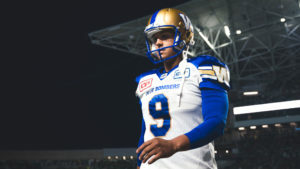 While the Bombers have won six of seven, including an emotional playoff game on the road against the Saskatchewan Roughriders on Sunday night, the Stamps were barely treading above the .500 mark over the second half of the season, following an 8-1 start with a run of just five wins in nine games. Statistically the Stamps remain one of the most dominant teams in the CFL, leading the league in a number of categories on the defensive side of the ball while ranking first in the league in points allowed and second in points for. 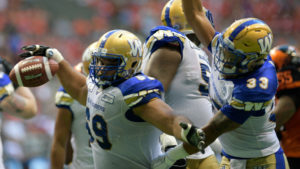 Conversely, the Bombers lead the CFL in points for and are second in points allowed, as two of the league’s top-scoring clubs are on a collision course. Matt Nichols is enjoying the best stretch of football in his career, winning six straight starts while throwing eight touchdowns with just one interception in the process. The Bombers pivot hasn’t been picked off on his last 109 passing attempts. 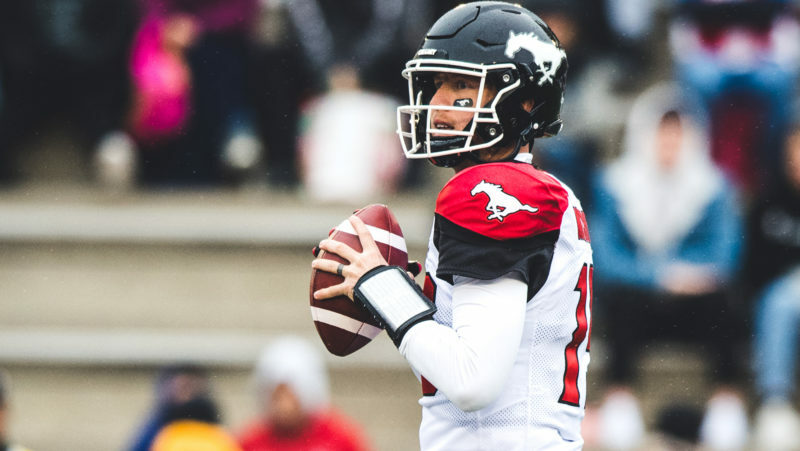 On the other hand, Bo Levi Mitchell is on track to win the second Most Outstanding Player award of his career and is the CFL’s all-time winning percentage leader. Sit back and enjoy the ride. 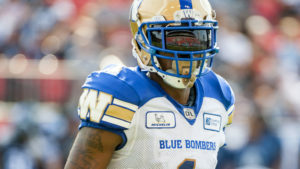 Andrew Harris rushed for 123 yards in the second half alone in the Bombers’ playoff win over Saskatchewan on Sunday evening. The CFL’s most dominant all-around back can hurt you as a receiver, or he can just run it down your throat and carry an offence on his shoulders. 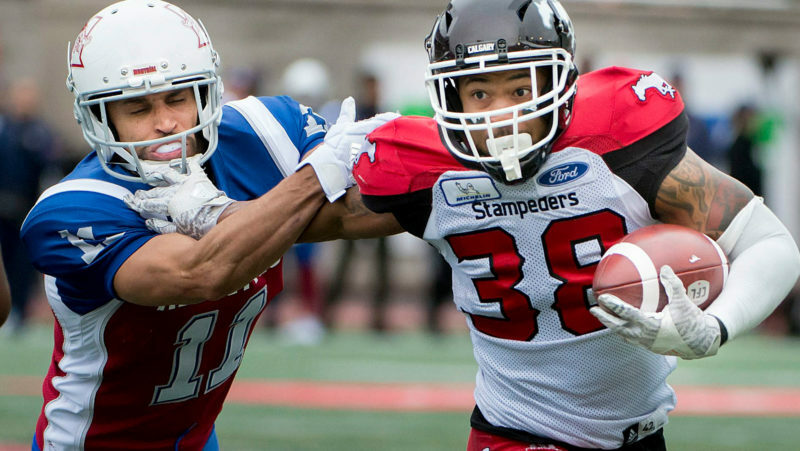 The Stampeders have an impressive trio of young running backs led by Don Jackson, but there’s no better back than Harris right now. Injuries have devastated what was considered, arguably, the most talented group of receivers in the CFL in Calgary. Markeith Ambles and Chris Matthews have done a nice job stepping in while DaVaris Daniels could be nearing a return, but it’s hard to for a new group to gel mid-season. The Bombers’ receivers aren’t spectacular, but they get the job done, led by an explosive Darvin Adams and sure-handed Weston Dressler. Give the edge to Winnipeg. The Bombers’ starters on the offensive line played in 86 of a possible 90 games this season, forming the healthiest and most cohesive group in the CFL in 2018. While the Stamps allowed a league-low 27 sacks, the Bombers gave up just 36 quarterback take downs and own the CFL’s most productive rushing attack, averaging 134.9 yards per game on the ground. The league’s best front five plays in Winnipeg. Both of these defensive lines can get to the quarterback, tying the CFL lead with 45 sacks apiece. The difference is in the ground game, where the Stamps are a nightmare to run against, averaging a league-low 86.5 yards against per game. 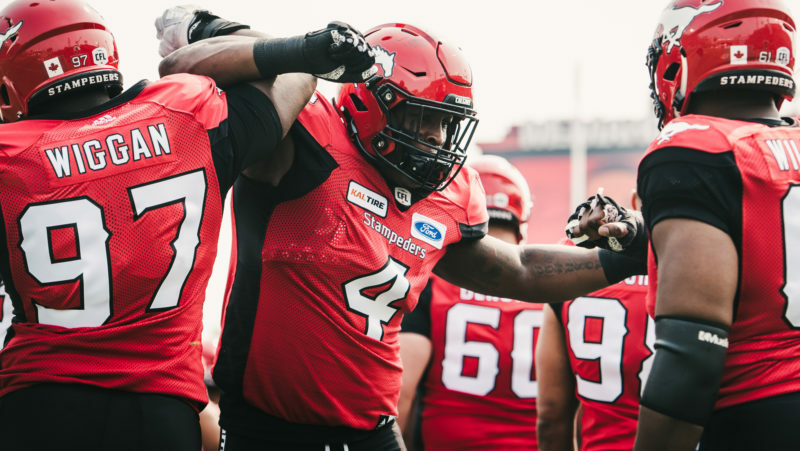 Jackson Jeffcoat and Tristan Okpalaugo form a nice rush end duo for the Bombers, but Stamps defensive tackle Micah Johnson might be the most dominant defensive lineman in the CFL. 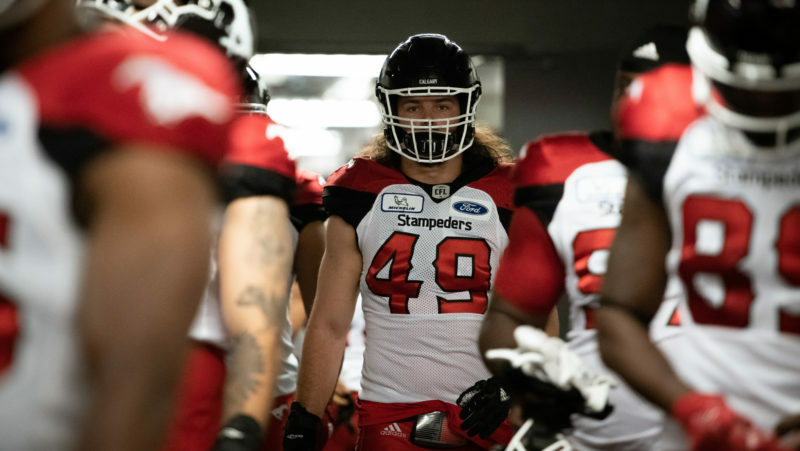 With back-to-back seasons of 123 tackles, Alex Singleton is the best young linebacker in the CFL. 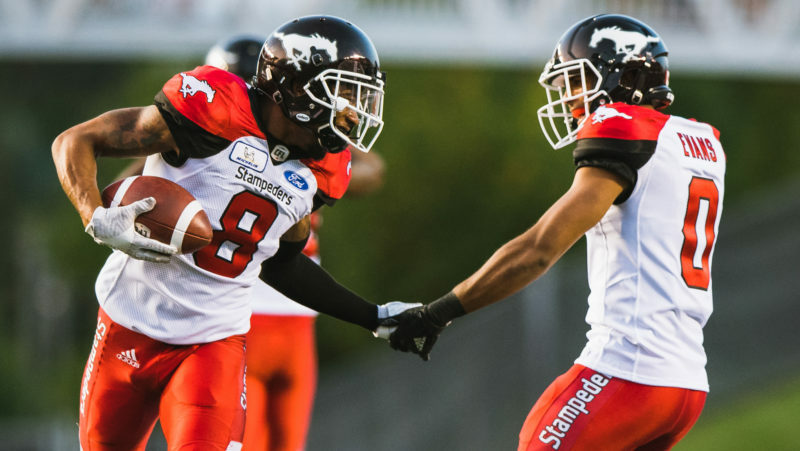 Jameer Thurman continues to put up numbers for the Stamps as a WILL, while Jamar Walladds a veteran presence at SAM. 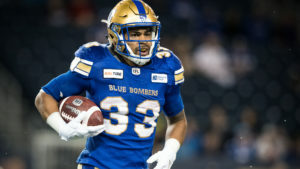 The Bombers have an impressive group as well, but injuries to Adam Bighill — who may be limited — and Jovan Santos-Knox, who may or may not play in the Western Final, could put Richie Hall’s group in a serious bind. The Stamps and Bombers have the CFL’s two stingiest passing defences, allowing 7.2 and 7.6 yards per pass respectively. Twenty-four-year-old Marcus Sayles has had a nice rookie season for the Bombers, and off-season additions Anthony Gaitor and Chandler Fenner have provided depth with Maurice Leggett sidelined. It’s close, but the emergence of Tre Roberson and veteran presence of Emanuel Davishave been the difference in Calgary. Whether it’s Terry Williams or Romar Morris back to receive, the Stamps have had one of the CFL’s most explosive return games all season. Together they’ve totaled four punt return touchdowns, with Williams finding the end zone three times. The Bombers counter with Kevin Fogg, who demonstrated on a 110-yard missed field goal return touchdown just how dangerous he can be. Justin Medlock and Rene Paredes have passed the test of time as two of the league’s most consistent kickers. Medlock’s kicking numbers are slightly better this year, but the Stamps have the edge in the punting game with Rob Maver. Neither kicker is going to cost his team a game, making this one a push.